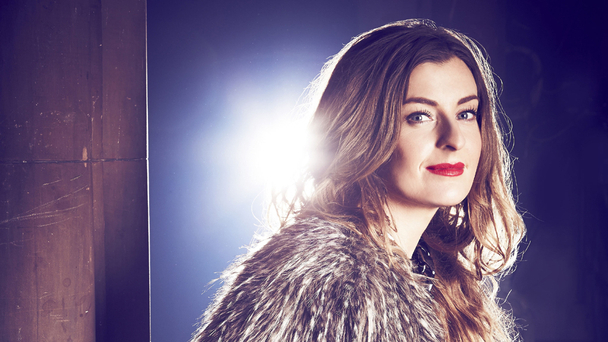 The BBC has announced singer-songwriter Molly Smitten-Downes will represent the UK’s 2014 entrant for the 59th Eurovision Song Contest, held in Copenhagen, Denmark. 26-year old Molly from Leicestershire will be performing her own song ‘Children Of The Universe’, which she wrote especially for the competition after being discovered through BBC Introducing. Performing for the UK as her artist name Molly, she has been singing and composing songs for over 10 years and has become widely recognised within the music industry and live music scene. In 2012 she was awarded Best Urban/Pop Act at Live and Unsigned, has performed at numerous festivals including Sundown and in 2013 won Best Song at the Best of British Unsigned Music Awards. She has supported artists such as Jake Bugg, Tinie Tempah, Labrinth & Chase n Status. The Eurovision Song Contest – which attracts an estimated global audience of over 120 million viewers – will take place on Saturday 10 May in Copenhagen, Denmark, broadcast live on BBC One with commentary by Graham Norton, and BBC Radio 2 with commentary by Ken Bruce.